Nokia 3310 (2017) was among the 3 phones HMD Global launched earlier this year. 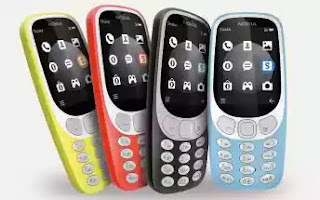 The phone came as a good news to the lovers of Nokia phones. However, many was disappointed that the device came without 3G network, and therefore, they refused buying the phone. Price About 90 EUR / $105 USD / NGN 38,000. 64MB ROM. 38,000naira. Hehehehehe. They are playing on our intelligence. Well, they have got fans. I stopped being a fan since they branched into the Lumia ranges. Haba, this phone is too expensive. Nokia phones are known to be rugged but this device specifications are very low.